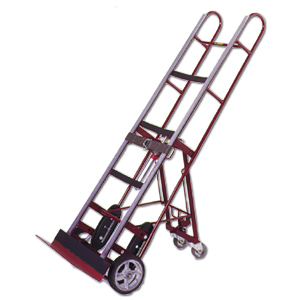 Retractable moldon rubber casters help support loads. Improved kick-out design allows operator to kick-out wheels while keeping both hands on the truck. Rolls on heavy duty 8" cast iron center moldon rubber wheels with roller bearings. FOB Shipping Point.